In my last post I pointed out that we can no longer assume that the problems posed by religious extremist will be solved for us by the passage of time, with prosperity, education, the spread of democracy and the attractiveness of Enlightenment ideas. 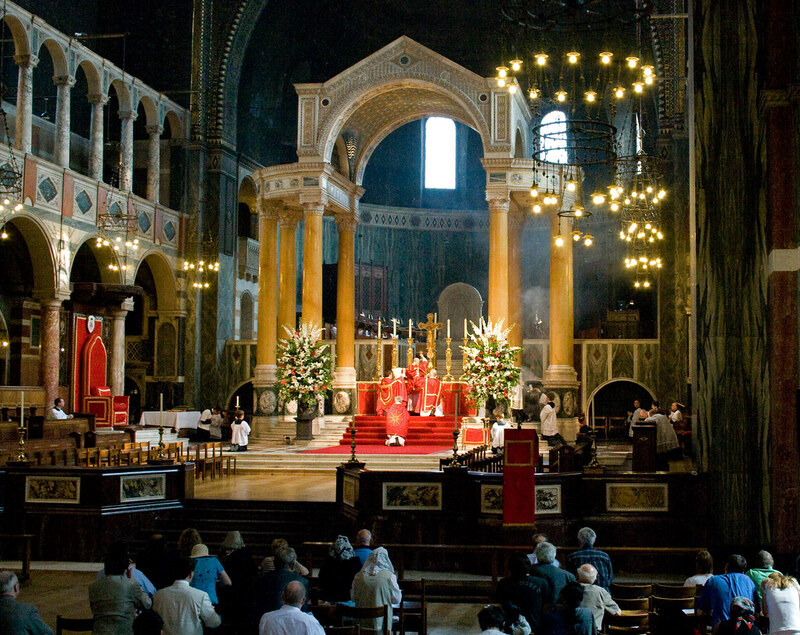 One of the implications of the end of the thesis of Inevitable Secularisation is that we can't expect the ideology of secularism, political liberalism, to be more and more widely accepted and to be our great ally in defending the rights of the Church. Here is an example of someone who appears to be doing just that: Lord (David) Alton. As I have outlined in a speech which rather inadequately has tried to set the scene for the many more detailed interventions which will follow, Article 18 is under threat in almost every corner of the world. As we approach the 800th anniversary of Magna Carta, we should recall that, long before Article 18, it asserted the importance of religious freedom. Societies which deny such freedoms are invariably unhappy societies. Research shows that there is a direct link between economic prosperity and religious freedom. In 1965, Dignitatis Humanae, the Second Vatican Council’s proclamation on religious freedom, said correctly that a society which promotes religious freedom will be enlivened and enriched and one that does not will decay. Article 18 is a foundational human right—many would say the foundational right—because, while there should be no hierarchy of rights and all rights are interdependent, without the freedom to choose, practise, share without coercion and change your beliefs, what freedom is there? As my noble friend Lord Sacks says, on this question, the fate of the 21st century may turn. Lord Alton is drawing attention to the terrible persecution of Christians around the world, and doing so in language which their Lordships, with a bit of luck, should be able to understand, but I'm going to criticise at least this peroration because it is wrong. First off, don't you love the reference to the Magna Carta? Oh yes, Article 18 was well entrenched in English law back in 1215. The Albigensian Crusade was going on in France at the time, accompanied by the young Simon de Montfort, a later champion of the barons' rights. Now that's the kind of religious liberty we can all believe in. 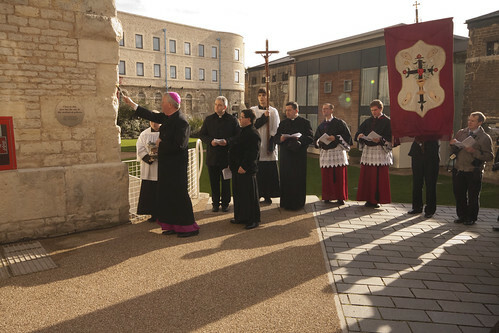 What the Magna Carta actually upheld was the freedom of the Catholic Church, which is not the same thing. To confuse the two seems amazing, but this confusion lies at the heart of the problem. 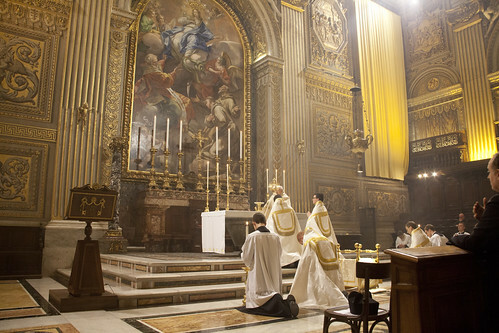 Yes, we Catholics demand, and have always demanded, the liberty of the Church. 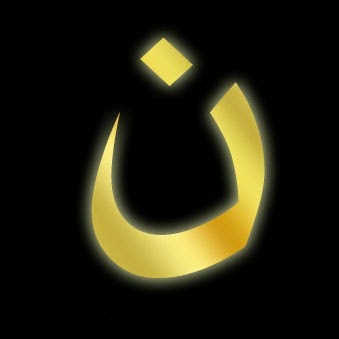 It doesn't follow that we demand, or indeed permit, the liberty of heretical, schismatic, sectarian, or idolatrous groups. How would anyone imagine that wanting the liberty of the Church implies that we want liberty for these others, any more than those who want liberty in general for good people doing innocent things should want liberty for criminals committing crimes? 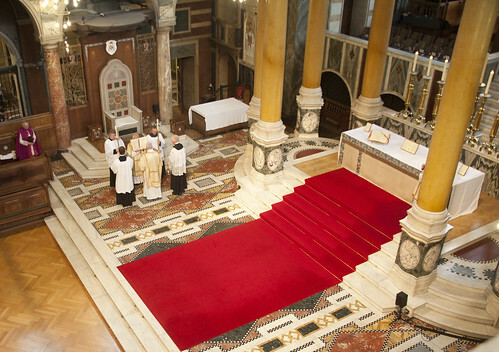 The answer is that Catholics in non-Catholic countries naturally have to appeal to general principles which could be accepted by non-Catholic states, and they have, in the last couple of centuries, increasingly seized on the notion of 'religious liberty', an idea which developed in England, Prussia, and then America because of the failure of the biggest sect in each place to suppress its rivals in the course of the 17th and 18th centuries. 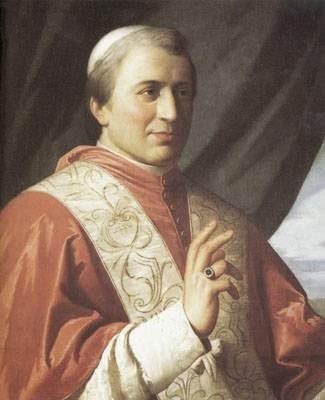 It was a political expedient which, when the philosopher John Locke formulated it, excluded Catholics. It is not a coherent moral principle, and for practical purposes it lacks content. As I keep saying, the notion of what is just is prior to the notion of what is protected by 'religious liberty'. If the state decides that your religious practice is unjust - whether it be forced marriage, female genital mutilation, circumcision, or telling children that fornication is a mortal sin leading to hell - you are toast. Let's have a look at this famous article 18. Here it is. Now, this may seem a silly question, but is is true? 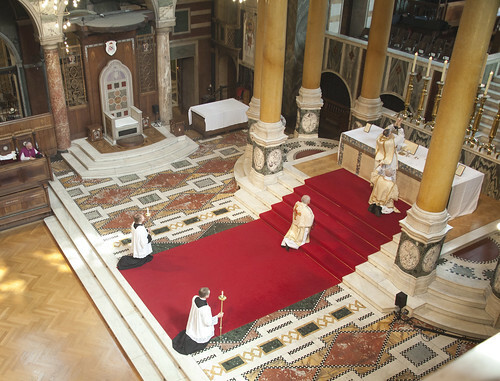 Do Catholic have a right to change their religion? That implies their repudiation of their baptismal promises. They have no such right in canon law. It is neither morally permitted nor are attempts to do this effective. Apostate Catholics do not succeed in escaping the obligations implied by their baptismal promises. (It makes no difference if they were baptised as infants or adults.) 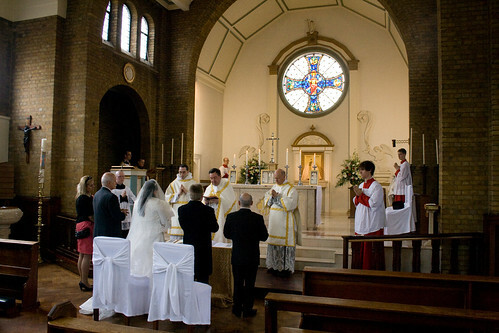 For a couple of decades the Church experimented with the rule that allowed Catholics to contract valid marriages without reference to the Church, if they first formally defected from the Church, making possible, in this respect at least, a mechanism of defection which actually made a difference. A few years ago this experiment was discontinued. As Homer Simpson memorably expressed it, Once you go Vatican, you can't go back again. But the Church doesn't actually punish apostasy? Yes, she does. For practical purposes the marriage rules impose a heavy penalty on apostates. A Catholic who apostasises and wants nothing more to do with the Church is prevented from contracting a valid marriage: this is very serious. Even more explicitly, Canon Law - yes, I'm talking about the 1983 Code currently in force - makes provision for penalties for heretics, such as deprivation from office. This actually happened to Hans Kung. Was this contrary to Dignitatis Humanae? Of course not. I'm all for making use of premises accepted by one's opponents, but this becomes problematic when those premises are actually false. The other thing Lord Alton and the political class in general need to consider is that, useless as the concept of religious liberty has been in defending the Church from secularists, the idea that it is going to be effective in defending the Church against Islamic zealots plumbs new depths of absurdity. We must become used to the idea that the Islamists are the government, in an increasing number of countries, and a substantial body of opinion in many others. The idea that they will be cowed into adopting a liberal conception of religious liberty by Western influence is, to be blunt, a neo-colonial fantasy. Our gunships just don't have that kind of persuasive force these days. How we can address, if not resolve, the Islamic challenge, is something I will discuss in the next post. I have been puzzled before by Mgr Basil Loftus' references to the idea that marriages between Catholics might be non-sacramental. 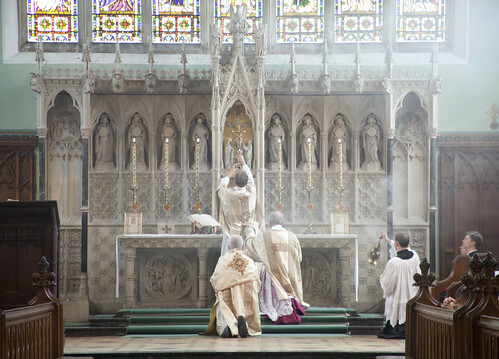 Or, perhaps, that it is possible for a Catholic couple to be joined in a non-sacramental marriage. In his column of 11th July in the Catholic Times, Loftus sheds a little more light on what he has in mind. As we have come to expect, it is pretty loopy, and based on an egregious factual error. 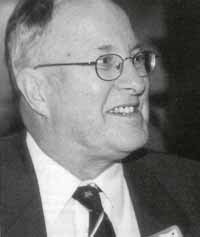 Pieter Huizing, the Dutch Jesuit canonist [d.1995], argued until the bitter end, when the present Code of Canon Law was being drawn up some 40 years ago, that there was no scriptural, doctrinal or logial foundation for the canonical conclusion that because undoubtedly Christ raised marriage to the dignity of a sacrament, "therefore every valid marriage between baptised persons has to be a sacrament." Loftus goes on to claim, incorrectly, that the when the Orthodox allow a second marriage after divorce, they do so on the basis that it is non-sacramental. This, then, would seem to be the idea: that we should allow for a non-sacramental marriage after civil divorce. The problem is that it is no easier to be engaged in bigamy with a non-sacramental second marriage, than with a sacramental second marriage. It wouldn't, come to that, be any easier to have two non-sacramental marriages on the go at the same time. A valid marriage, of any kind, while it exists, renders the parties incapable of contracting another valid marriage, of any kind. 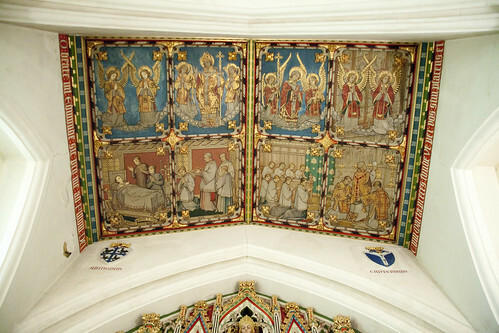 It may be that Loftus is subject to another confusion, the idea recently examined by the canon lawyer Edward Peters that one can conceptually separate the questions of a marriage's validity and its sacramentality. As Peters points out, we never get a decree from a tribunal that a marriage wasn't sacramental, only that it wasn't valid. 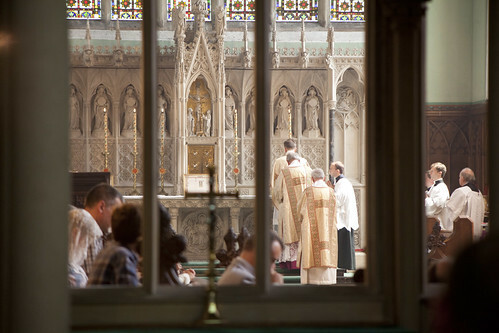 To explain why, we need to remember that when two Catholics fail to contract a sacramentally valid marriage with each other, they fail to to contract any (real, binding in conscience) marriage. When the law of the land fails to recognise this, it is failing to recognise the moral reality of the situation, the relationship between what has happened and the institution of marriage, which the state can regulate but does not own. Here's a question. Suppose that Catholic couples had the option, when preparing for marriage, of contracting some sort of arrangement of concubinage, instead of an indissoluble sacramental marriage. So they could have marital relations without sin, but could still, under certain conditions, walk away from their partners. How many would actually go for that? 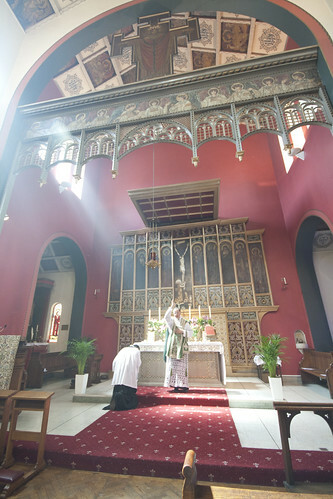 It is true that there are couples who just get married in church because it looks nice, and have no intention of keeping their wedding vows. Their marriages are clearly invalid, however, so, in this way, they aren't part of the problem with people like Loftus want to solve. That problem is created by people who don't want concubinage, or natural marriage, or anything like that: they want sacramental marriage, succeed in contracting it, and then, while their spouses are still alive, decide after all that they want to marry someone else. Loftus' proposed solution is not going to help them, even if it made sense, because they don't actually want 'marriage lite': they wanted the real thing when they first got married, and for the most part they would like the real thing, were it possible, all over again, with their new partners. 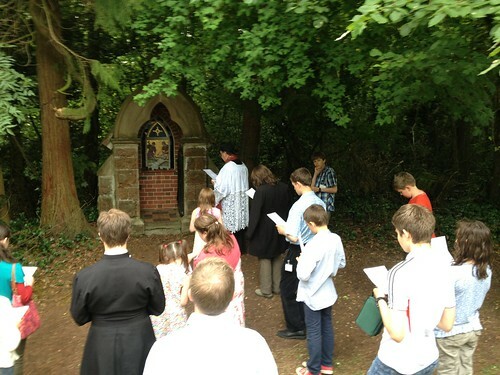 There will be a High Mass at 1:30 on Wednesday 30th July for the Chesterton Pilgrimage, in Our Lady of Lourdes, Uxbridge. The church is on the Osborn Rd (or, more simply, next to the A4020), and the post code is UB8 1UE. Click for a map. 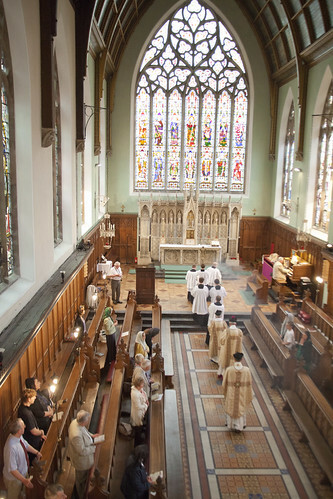 The Mass is sponsored by the Latin Mass Society, and will also be an opportunity for anyone who wants it to get some experience singing chant with the Schola Gregoriana: for this, please book in advance. The are also raising (much needed) money for the Good Counsel Network; go and bung some money on Stuart McCullough's 'sponsored walk' page here! There are only six donors so far. You can print off praycards from the website above and sign up on Facebook to say the prayer on the 30th for all those on the prayer list. 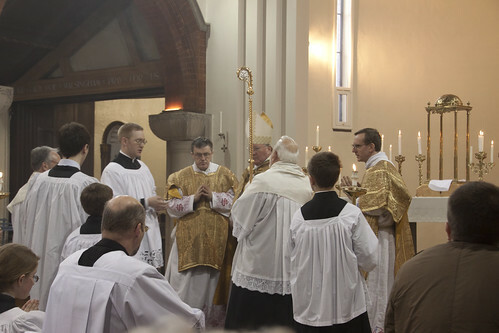 To mark the occasion a conference has been organised, not by the Latin Mass Society but with our support. 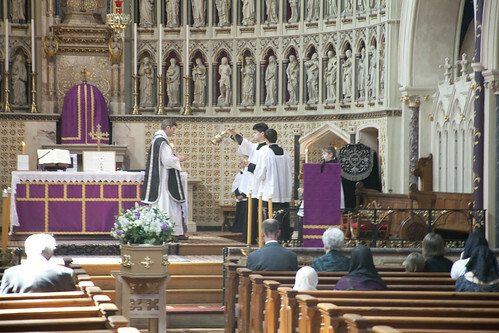 Time: Registration from 10am; first talk at 10:30; the conference concludes with a High Mass of Requiem at 4:15pm, which will be over by about 5:14. 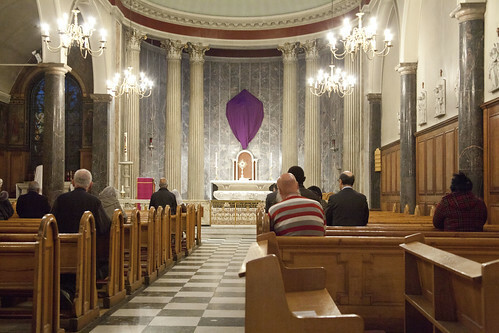 Place: St Mary Moorfield, central London: in the parish hall (the basement below the church), with Mass in the church itself. Click for a map. Speakers: Dr John Roa, Chris Ferrara, Michael Matt, and James Bogle, President of the International Federation Una Voce (FIUV). Price: Tickets are just £15. To see a selection of his books on sale see here and here. The below is copied and pasted from Rorate Caeli. Please, dear readers, disseminate this proposal as widely as possible - no attribution is necessary - not just to trads. 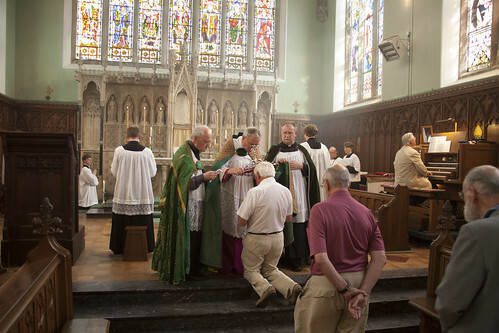 See if you can get your parish priest to do something. Matthew Schellhorn has written a very touching short piece on the Assisted Dying Bill, in light of his care for his mother, who died after a long illness. Read the whole thing on the Care Not Killing website. All who live must die. The sentence of death on the human race after the Fall is not only a punishment, it is a bond of solidarity we have with everyone who has gone before, and will come after us. 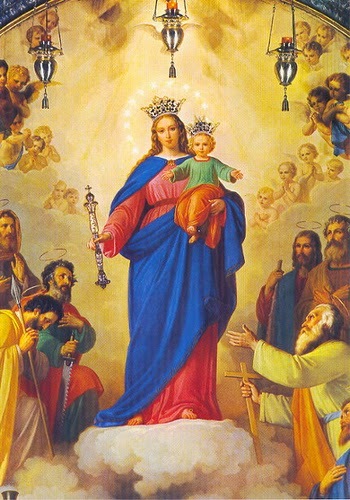 Our Lord willingly submitted to it, though sinless; Our Lady too, according to the Western tradition, suffered death. Our final hours, days, weeks and months is part of our life, and with a protracted illness (when we know we are dying) it can be among the most significant parts. We experience the compassion and love of others in a unique way when we are helpless and suffering. The dying have a unique opportunity to prepare for death, which can include reconciliation with others, leaving a lasting legacy of restored relationships. What Lord Falconer and his supporters want to do is to shuffle the dying off in a hygenic and out-of-the-way manner, like the 'unwanted' pregnancy or the disabled. The dying are inconvenient, inefficient, and embarrassing. They remind us of our failings of compassion, and they remind us of our mortality. That is exactly why a healthy society needs them. I love this church. 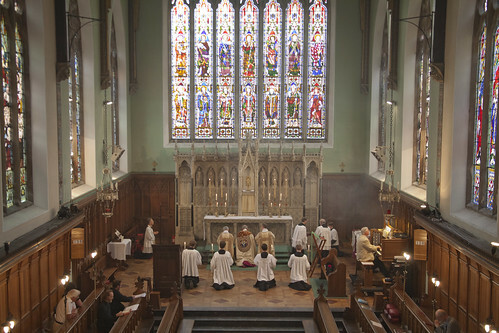 St Mary Magdelen in Wandsworth is the church of Fr Martin Edwards, the National Chaplain of the UK Chartres Pilgrims. 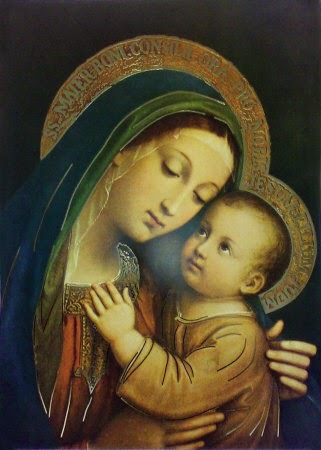 He has been responsible for much restoration, to its present impressive and artistically coherent state. 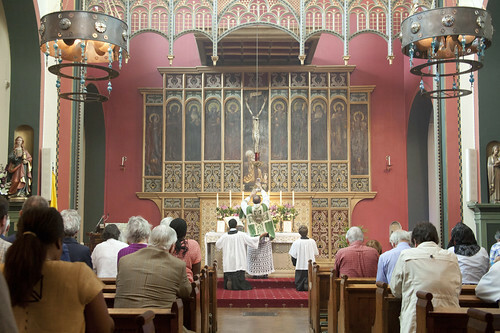 It has a rood screen: this is how rood screens sometimes developed in the Baroque period, essentially just a rood loft (see this from Paris). 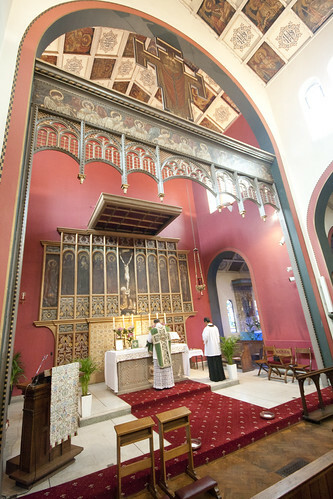 It is a pity that it lacks the Altar rails which would, I assume, have matched it and continued it. 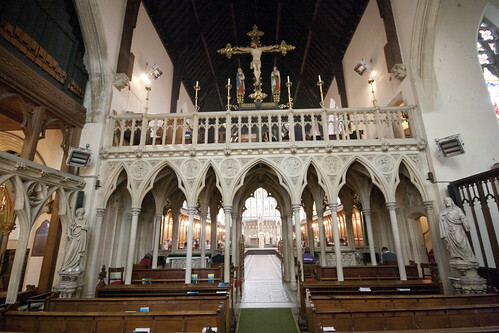 It is the suggestion of a screen between the nave and the sanctuary, not anything actually impeding one's view - not that Rood Screens really do that, outside cathedrals, as I have explained elsewhere. The Mass was the occasion for a reunion of the Chartres pilgrims; we sang the Chartres anthem 'Chez nous' after Mass, in French. 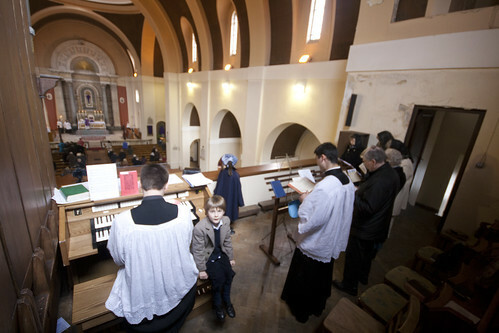 It was accompanied by a professional choir, sponsored by the Latin Mass Society. 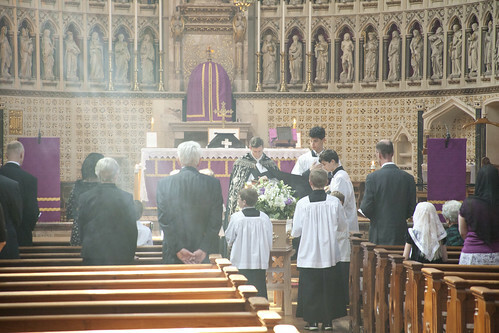 This excellent choir accompanies a Missa Cantata once a month. 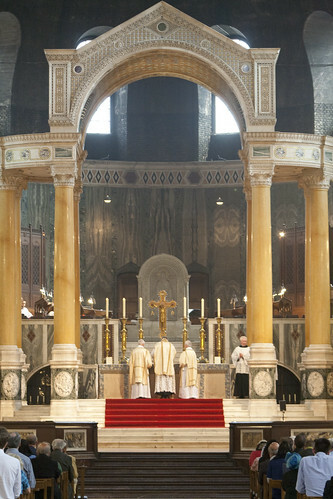 The church is actually square: it is very wide and very short. 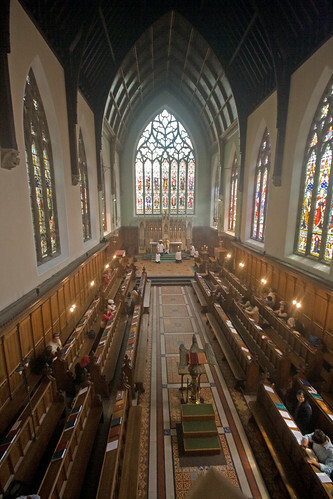 Somehow it doesn't feel like that: the side-aisles feel like additions to the nave, with lower ceilings. 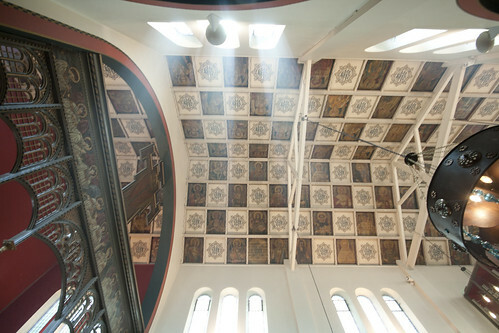 It has an impressive decorated ceiling. 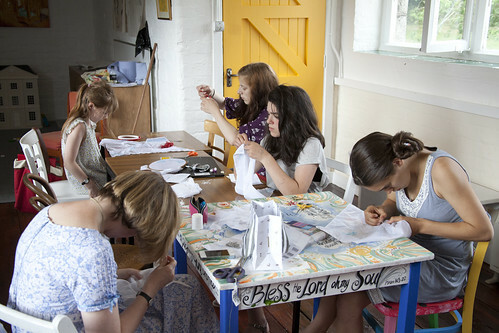 The St Catherine's Trust Summer School takes place from Sunday 27th to Sunday 3rd August, for children aged 11-18. 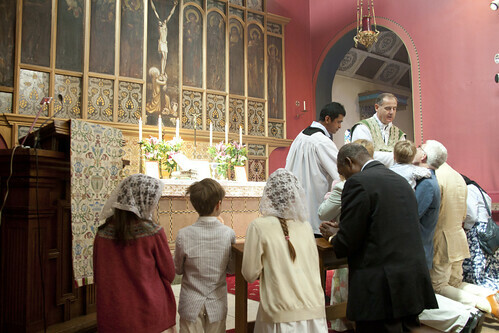 We have the Traditional Mass every day, the children are introduced to a wide range of subjects of Catholic interest - as well as catechism, art, music, history, literature, philosophy - and make friends with children from like-minded families from all over the country, and beyond. This is the last call to sign up. We've already got more students than last year, and there's always a late rush, but please don't leave it to the last minute! To apply please use our downloadable application form, or apply online. 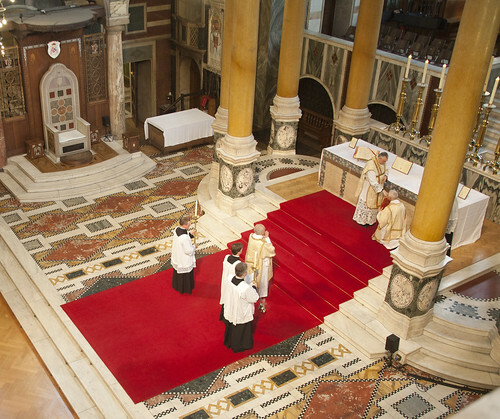 This Saturday in the Latin Mass Society's Annual General Meeting. 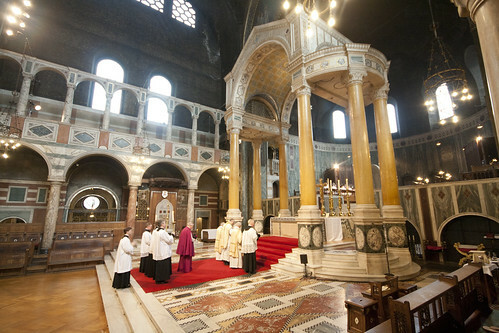 If you want to hear me speak, this is your chance - the meeting starts at 11am in the Westminster Cathedral Hall. Obviously you need to be a member of the Society to attend the AGM, but if you're not, you can always JOIN. 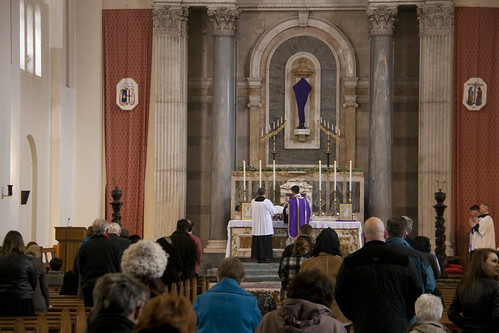 The Mass which follows at 2pm is of course open to all. 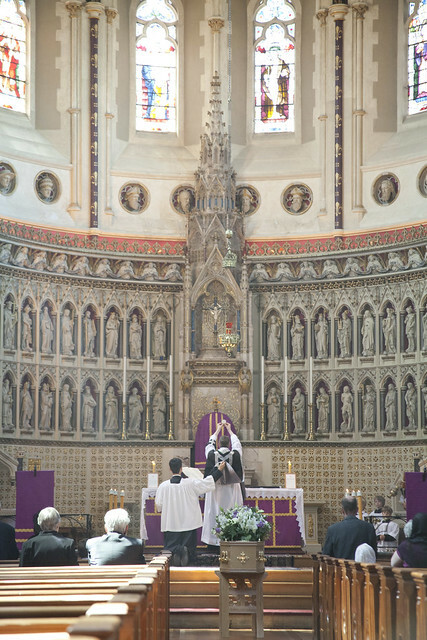 It will be a High Mass celebrated by our Chaplain for the South West, Fr Glaysher. 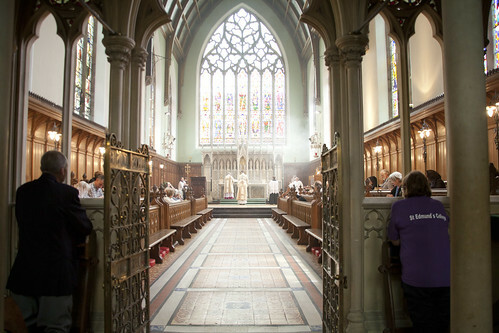 It is a truly awe-inspiring venue, we'll have excellent singing from the Cathedral's own singers, so come along. 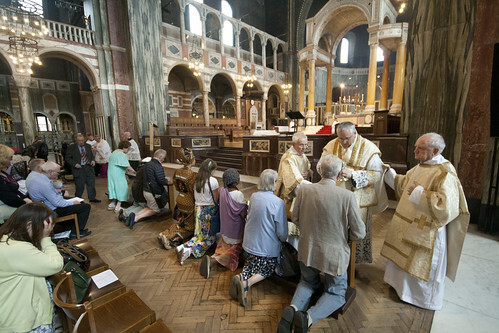 We've not had the AGM in Westminster for a few years, it has become harder to get a slot since they started doing Confirmations on Saturdays there for the whole diocese in the Spring and Summer. 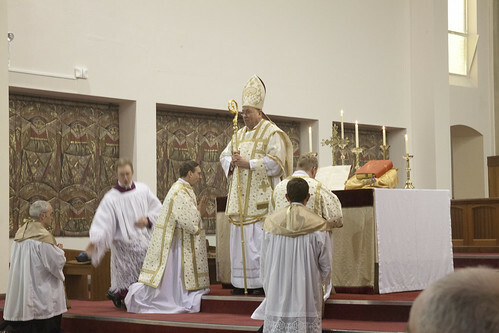 Rorate Caeli has posted a video - among other things - showing the sad state of the Redemptorists in Ireland. The preacher tells a little story about his meeting with Pope St John Paul II. 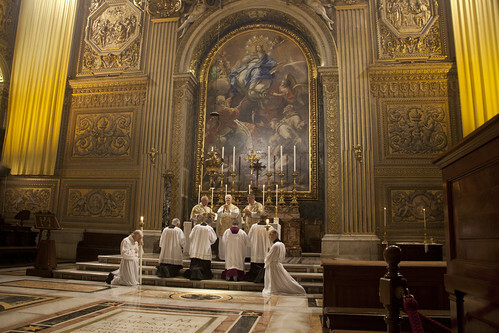 He met him in Rome, when he was at the Redemporist monastery there and the Pope came to visit the parish. It was a formal occasion. The Redemptorists all lined up to greet the Pope. Having been told to kneel and kiss the Holy Father's ring, he decided to refuse - 'the Devil got into me', he says - and simply shook the Pope's hand. You only have to listen to the first minute or two to get the anecdote. It reminds me of my meeting with Cardinal Hume. I was on the Ampleforth Pilgrimage to Lourdes, it was 1990 and I was 18. Cardinal Hume happened to be in Lourdes at the same time, with the Westminster Diocese Pilgrimage, and because of his connection with Ampleforth (he'd been Abbot before going to Westminster) he came to greet us. It was a formal occasion. We all lined up in a large semi-circle and he worked down the line shaking everyone's hand. I was some way down the line and watched this happening. Somehow the Devil - or something - got into me. I was a bit of a rebel, a non-conformist. When my turn came I broke the convention. I took his hand and kissed his ring. The shattering of the convention was like a bolt of electricity. He sprang away from me as though I had bitten him. If our Redemptorist priest heard this, he might object that I was just following a different convention, not overturning a convention. But as a matter of fact, although I was aware of the old custom, I had never experienced a milieu in which it was done. 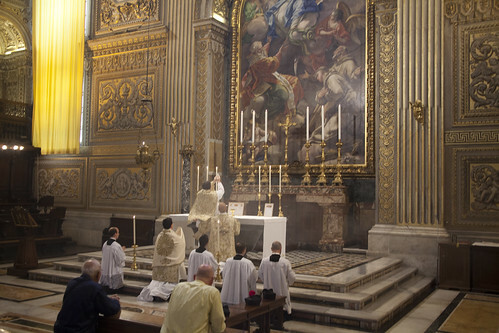 What the Redemptorist did, on the other hand, was to abandon a specifically Catholic and religious custom for the universal, secular convention. 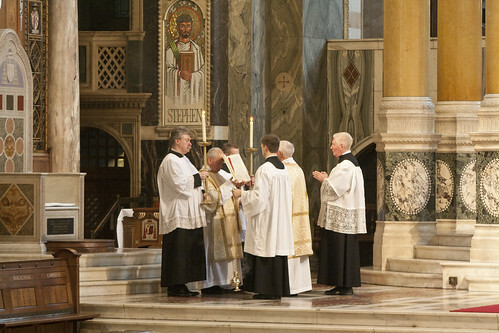 It was the action of a conventional person who gravitates to the most powerful, widespread convention, who can't cope with maintaining the counter-cultural conventions of the Church against those of the World. So yes, I was young and foolish: I broke the convention. 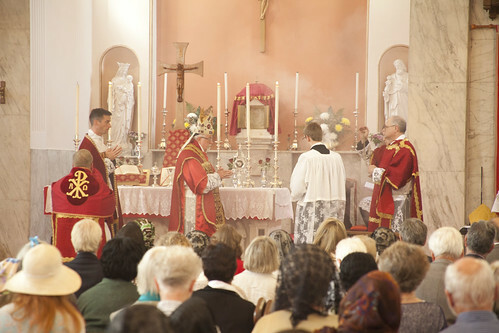 The Redemptorist claims, next, in the sermon, that Our Lord broke convention when handed the scroll in the synagogue in Caperneum (Luke 4:17): he says Our Lord chose a different passage to one set for the day. This is a fantasy, there is nothing in the text which suggests this. As a matter of fact Our Lord not only worshiped according to the customs of His age, but he kept the Law of Moses perfectly: the only man ever to have done so. When criticised for breaking rules, he never says 'Oh I can't be bothered with the Law of Moses, that's old hat, you need to chill out,' no, he explains that what he had done had not in fact infringed it. So this Redemporist and I can't comfort ourselves with Our Lord's example. He may be on safer ground claiming the precedent set by Pope Francis, but it's bit risky imitating the spontaneous gestures of the Supreme Pontiff. And suggesting that Pope Francis violated a convention by not using the Popemobile is stretching the concept to breaking point. The Popemobile was not exactly a venerable custom. Seeing Our Lord as a convention-breaker is very tempting, because convention-breaking is what we are all supposed to be doing all the time, but it is the wrong hermeneutic. When He touched the bier carrying the dead Son of the Widow of Naim (Luke 7:14) the onlookers would have thought that he would incur ritual impurity. It wasn't forbidden, some people had to deal with dead bodies, impurity wasn't permanent, but the Pharisees would have done their best to avoid doing it. But for Our Lord it was different: His touch purified, it raised the dead to life. 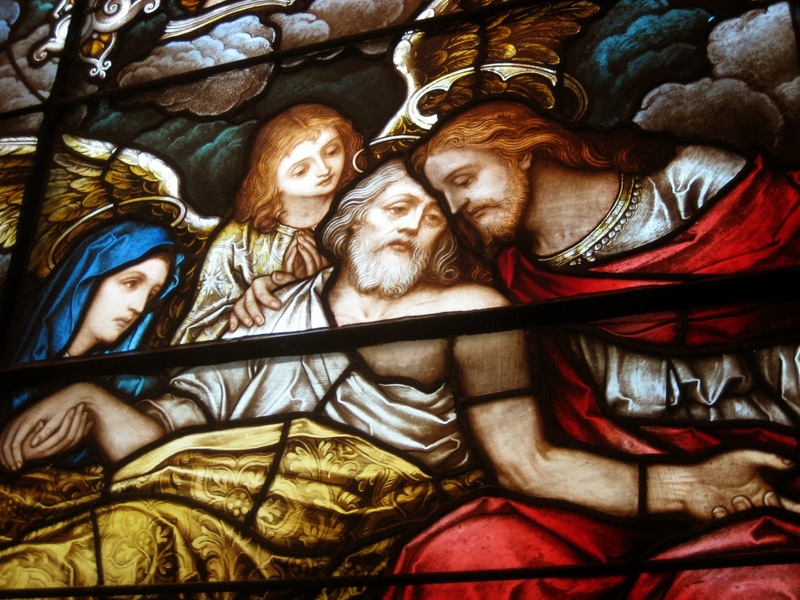 Similarly, when he healed the Man with a Withered Hand on a Sabbath (Luke 6:6-11), it might have looked as though he was working and so breaking the Sabbath, but when Christ cures it is a symbol of the giving of spiritual life, and saving from death was always permitted on the Sabbath. No, the Redemptorist and I have to think of some other justification, if any. We need to think about what breaking these conventions meant in our specific cases. By stepping outside the expected behaviour, we were making a statement. 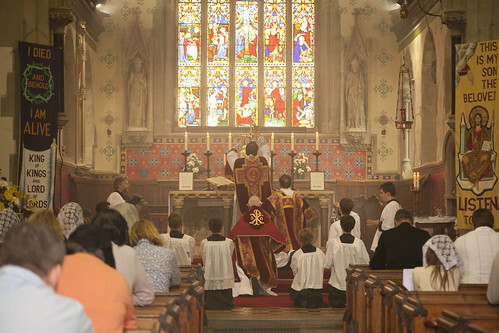 And the Redemptorist priest needs to be careful about praising the breaking of conventions, because he and I were making quite opposite statements when we broke the respective conventions, the one being followed by everyone else apart from us. What does it mean to refuse to kiss the Pope's ring? I mean, to do that back in the days, perhaps twenty years ago or more, when attempts were still being made to insist on it at these occasions. It was a deliberate act of disrespect for the man and his office. It was a claim to equality of dignity, an equality of dignity which is only possible by pulling the Pope down to your own level. What did it mean for me to insist on kissing the Cardinal's ring? It was a rebellion against the pretense of equality of dignity in which the Cardinal was taking part. No one really thought that he wasn't a great man with a great office: there we were, all terribly honoured to meet him, even momentarily. 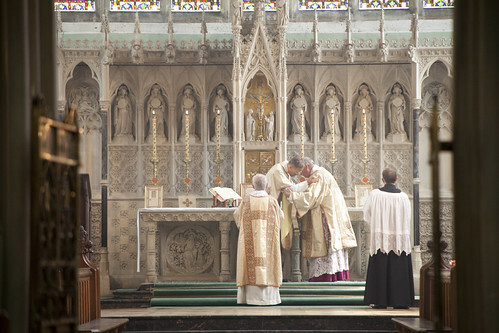 But the convention of kissing a bishop's or a cardinal's ring was still enough in our consciousness that a statement could be made by pointedly eschewing it: a statement saying: Let's pretend we'll all on a level, that there is nothing special about being a cardinal. We could get a little thrill through the double-think: he's a cardinal and yet he's not behaving like one. As a young man - yes, I was young and foolish - I had a particular aversion to this kind of pretense. I wanted to prick the bubble of pompous nonsense. I thought it was dishonest. I might take a more nuanced view today. But at the time Cardinal Hume's reaction rather confirmed my feeling that we were being asked to maintain some kind of Emperor's New Clothes illusion. Why did he mind so much if I wanted to kiss his ring, a gesture of respect for his office? Presumably because it disturbed the impression he was eager to create, of relaxed informality in front of young people. Young people who were, in fact, not relaxed at all, but completely in awe of him - with the exception, I suppose, of the foolish youth who was cocky enough to break the convention. The statement I made was that I respected his office, and the values it stood for, even in spite of his wishes. Cardinal Hume did not abolish the office, or the power that went with it; the men of his generation too often wanted the power without the conventions which had previously served to limit the power, like the conventions which surrounded a Medieval monarch, before the age of Absolutism. 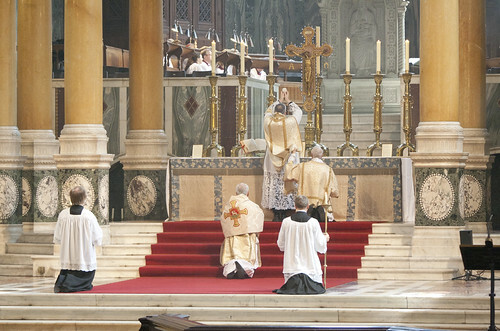 It was necessary, and indeed it remains necessary, to reassert the old conventions, the expectations of respect for tradition, respect for the Faith, respect for the Church's law, and come to that respect for God, while not denying the power, because without those conventions the power can be used, and often has been used, arbitrarily. To reassert those traditional expectations and conventions today, we have flout the expectations and conventions which have replaced them. We have to be rebels in the cause of restoration. This is not an unprecedented situation by any means, but it confuses the liberals no end. 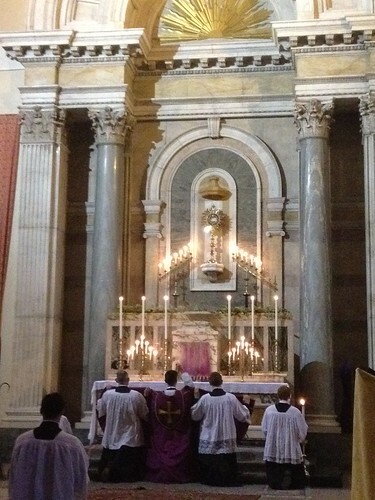 Support the Latin Mass Soeity: become an Anniversary Supporter!